Changesonebowie: Saudi Arabia; IBM, 8156. 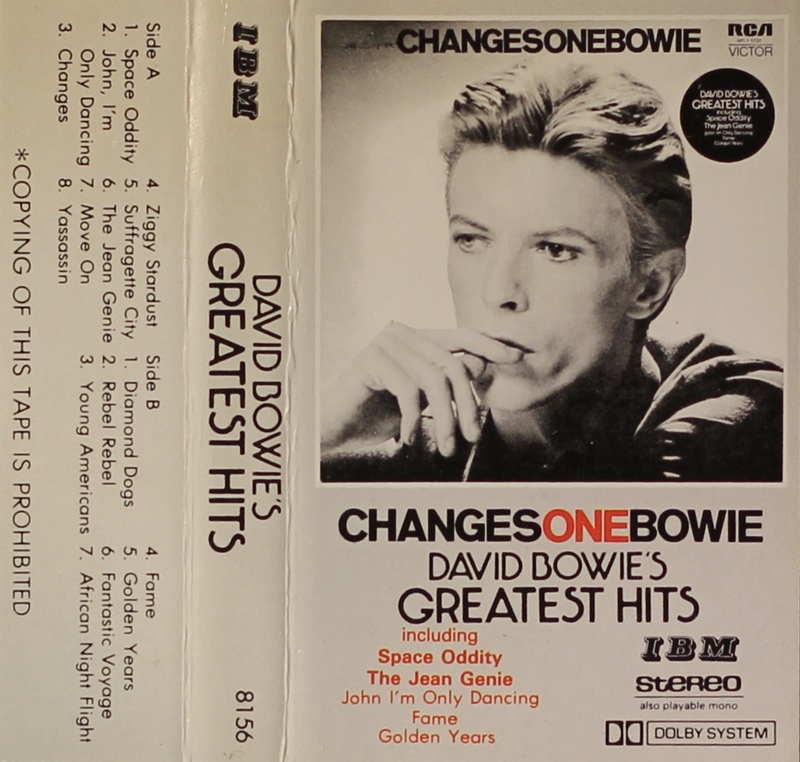 The Changesonebowie album with filler tracks from ‘Lodger’. White paper label onto grey shell. 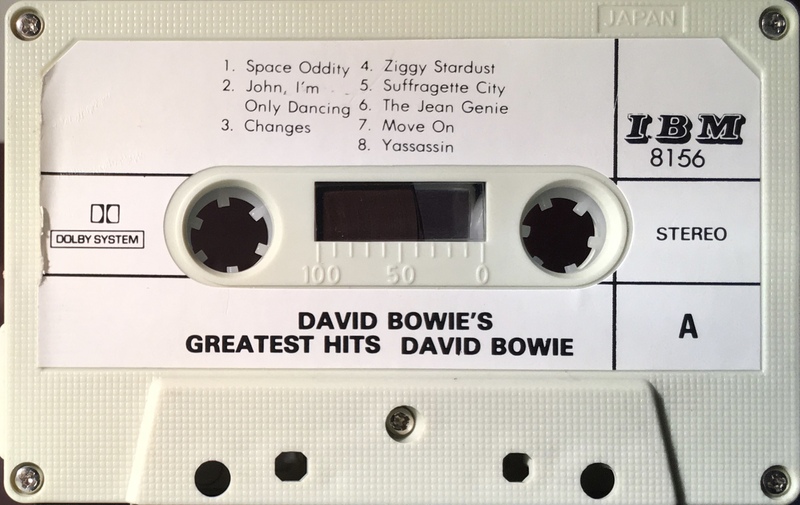 Side 1: Space Oddity; John, I’m Only Dancing; Changes; Ziggy Stardust; Suffragette City; The Jean Genie; Move On; Yassassin. 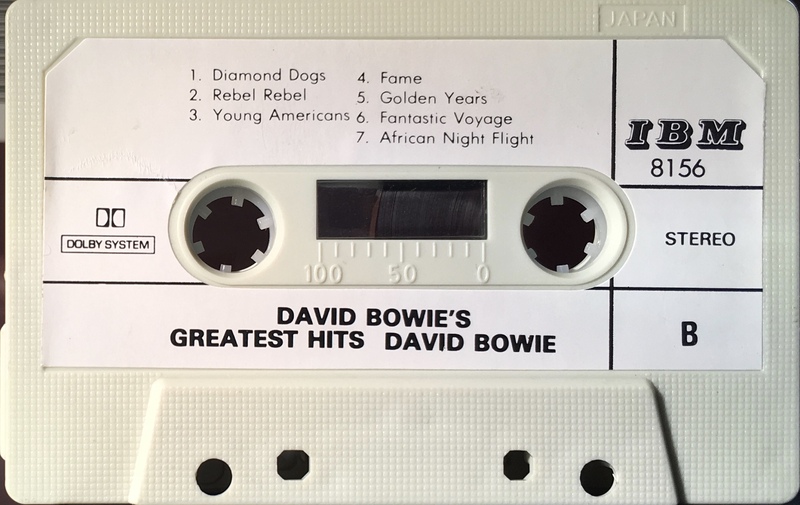 Side 2: Diamond Dogs; Rebel Rebel; Young Americans; Fame; Golden Years; Fantastic Voyage; African Night Flights.